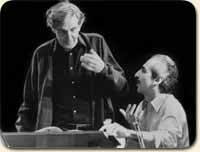 Martino Tirimo's playing is often compared to that of Schnabel, Arrau, Rubinstein and other great pianists. 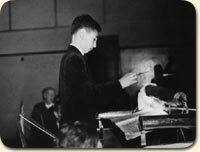 He was born into a musical family in Cyprus and began piano and violin lessons with his father, a distinguished conductor and violinist. He gave his first concert at the age of six, performed Haydn's Concerto in D at eight and when only twelve he conducted seven complete performances of Verdi's La Traviata, including soloists from La Scala, Milano. He appears at major festivals and venues with many of the world's leading orchestras including the Vienna Philharmonic, Dresden Staatskapelle, Leipzig Gewandhaus, Bayerischer Rundffunk, London Symphony, London Philharmonic, Philharmonia, Cleveland, Academy of St. Martin in the Fields, Chamber Orchestra of Europe, English Chamber and many others (see under orchestras). Conductors he has worked with include Barbirolli, Boult, Kurt Sanderling, Masur, Marriner, Norrington, Berglund, Bychkov, Klee, Krivine, Mandeal, Tortelier, Elder, Spivakov and Rattle (conductors). His repertoire is enormous, including 80 Concertos and nearly all the major solo works of the great composers, and he has become a champion of the Dvorak Concerto and also the Tippett Concerto, which he performed several times with the composer conducting, in Germany and the UK. Their recording of the work for Nimbus was released in 1991. Among over 50 recordings are the two Chopin Concertos with the Philharmonia (Alto), the two Brahms Concertos with the London Philharmonic (EMI) and a CD of Rachmaninov's Concerto No.2 and Paganini Rhapsody with the Philharmonia, which became one of EMI's best sellers and for which he received a Gold Disc in 1994 (sales of this disc in the UK alone topped 200,000 in 1993). He has also recorded the complete piano music of Debussy (4 CDs) and Janacek (2 CDs). In 2006 he recorded the complete piano works of Mozart, at the Leipzig Gewandhaus, on 12 CDs. These are now available on Regis Records, both singly and in 2 boxed sets. Release of Beethoven's complete piano music will begin in 2012. Tirimo is particularly renowned for his Schubert interpretations and in 1975 became the first pianist to perform a truly complete cycle of the 21 Sonatas in public, with his own completions to the unfinished movements, at the Queen Elizabeth Hall. His 1985 cycle at the Wigmore Hall was recorded by BBC Radio 3, and in 1996-97 he recorded the complete set for EMI, as well as editing the first complete edition, in three volumes, for Wiener Urtext Edition. The 8 CDs were released throughout 1997, the 200th anniversary of Schubert's birth, and in the same season he performed all of Schubert's major piano works in six concerts at the Wigmore Hall. Among his TV appearances, memorable was his playing of the Tippett Concerto, for BBC TV, which was transmitted live from Coventry cathedral in celebration of the UN's 50th anniversary and composer's 90th birthday. 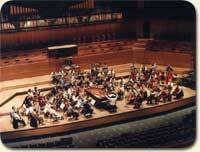 The performance was with the BBC Philharmonic Orchestras conducted by Yan Pascal Tortelier. A series of masterclasses were filmed at the Royal Academy of Music in London (1988) with Martino working with brilliant young musicians. 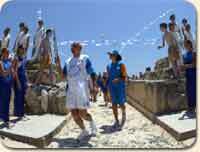 The programmes were screened in several countries. In 1998 he composed the film score for "The Odyssey", which was screened in eight episodes on Channel 4 and other TV stations in Europe and USA. He celebrated the year 2000 by giving four series devoted to the 32 Piano Sonatas of Beethoven, including one in London at St John's, Smith Square. In 2001 Tirimo gave two series of concerts devoted to the major piano works of Robert and Clara Schumann, and also began a complete cycle of performances and recordings of the Mozart Piano Concertos, directing from the piano the Prague Chamber Orchestra with whom he has a long-standing relationship. In 2002 he performed a series of six concerts devoted to Chopin's major works and in the same year founded the Rosamunde Trio with which he has since toured extensively. 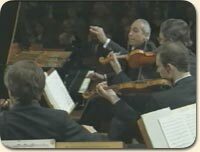 Highlights in 2004 included concerts with the Chamber Orchestra of Europe and at the Athens festival, during the Olympic period, he performed Beethoven Concerto No.4 with the Vienna Philharmonic. In the same year he had the honour to run with the Olympic torch, perhaps the first classical musician to have done so. 2005 included performances of the Tippett Piano Concerto, including two in Stuttgart under Sir Roger Norrington, and in 2006 he celebrated Mozart's 250th birthday with several series of 8 concerts each devoted to the complete solo piano works, including one at London's Cadogan Hall. He also directed from the piano, in Mozart Concertos, both the Academy of St. Martin in the Fields and the Prague Chamber Orchestra.